We just wanted to offer our huge congratulations to Derek Snee who was a finalist in the Pink Lady Food Photographer of the Year 2018 award ceremony and won the Marks & Spencer Food Adventures category! 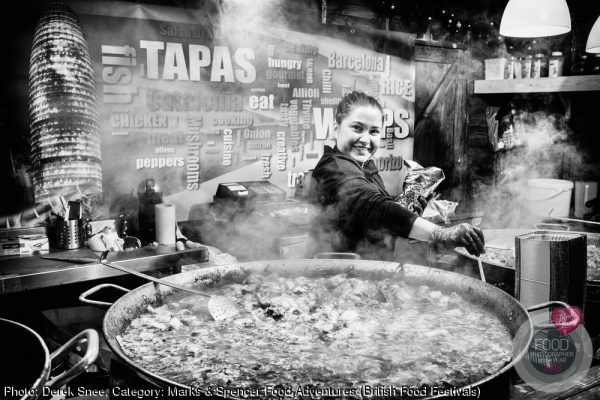 His award-winning image “Tapas upon Tyne” captures an enthusiastic chef dishing up warming Catalan paella at the heart of Newcastle’s International Christmas Market. SWPP: October Award Recognitions Should You DIY Your Website Or Hire A Designer? Congratulations to Paul Hindmarsh! Focus On…Neil Hemsley!